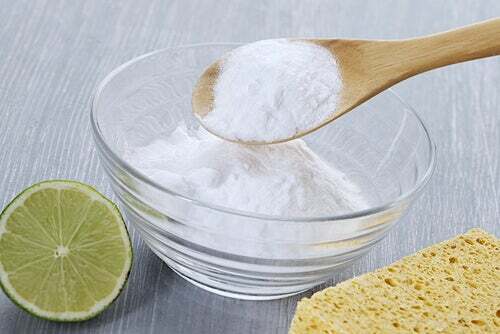 In this article, discover how to wash clothes with these natural homemade tricks! 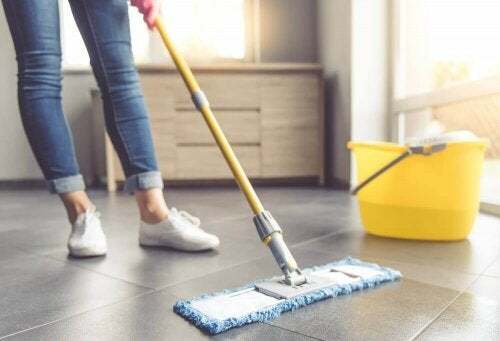 How much money do you usually spend per week on household and cleaning products? It’s very common for people to buy a lot of products to bleach and wash clothes, get rid of odors, or to make their clothes much softer. However, the reality is that you can achieve a lot of things with simple home remedies. 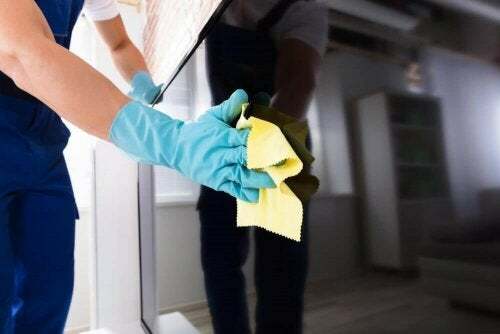 Vinegar, lemon, and baking soda will be your best allies. As you already know, the most common chemical product used to whiten clothing is bleach. Besides the fact that all of these products are highly toxic, they make fabric fibers weaken and break more easily. 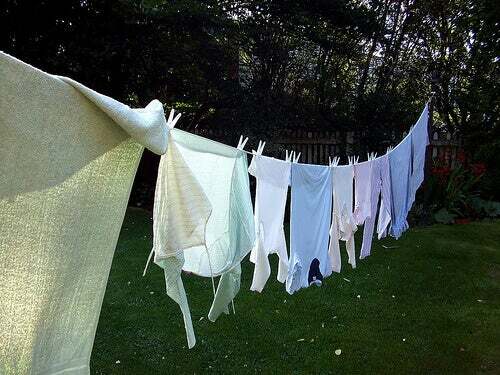 It’s true that your clothes will come out white and unstained, but that doesn’t last long. Also, if you aren’t careful, bleach can cause blots and stains on colored clothing due to splashes. 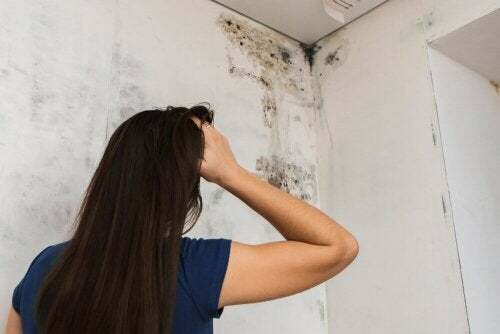 With baking soda, lemon, or even hydrogen peroxide, those things won’t happen. Keep this in mind! If they are kitchen curtains, which tend to get dirty with smoke and grease, a good idea is to put them in the bath with hot water. Add a tablespoon of baking soda and leave them soaking until the water gets cold. Then, you can wash them normally and easily. They will come out looking perfect! This is very easy. It’s done almost the same way as with curtains. Put them in hot water but apply some hydrogen peroxide on the stains. They will come out more easily and leave the tablecloths completely white while taking care of the fabric at the same time. 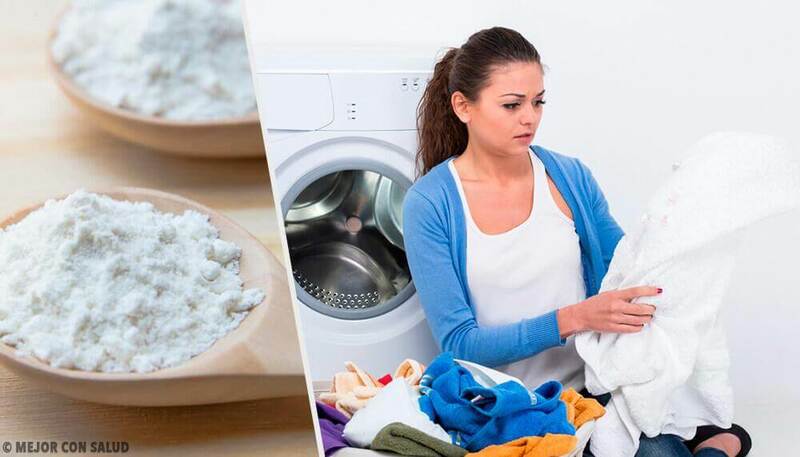 When putting clothes into the washer, you can dilute a tablespoon of baking soda in a glass of water and then pour it on the clothes (never put pure baking soda on fabric because it could damage it. It’s best to dilute it with water). Then, let the washer do its normal cycle. 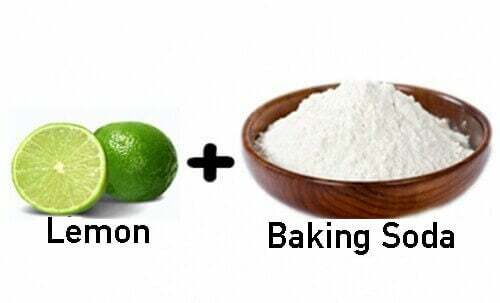 You can also use lemon juice. Make a water and baking soda paste. Just dilute half a teaspoon of baking soda in half a glass of water. Mix well and apply this paste on the most critical areas, like the armpits. Then, you can put the clothes in the washer as usual. White vinegar. Pour half a glass of vinegar mixed with a glass of water in a spray bottle. Spray the areas with this mixture and leave on for 10 minutes. Then, wash like normal. Lemon juice. You probably already know this. 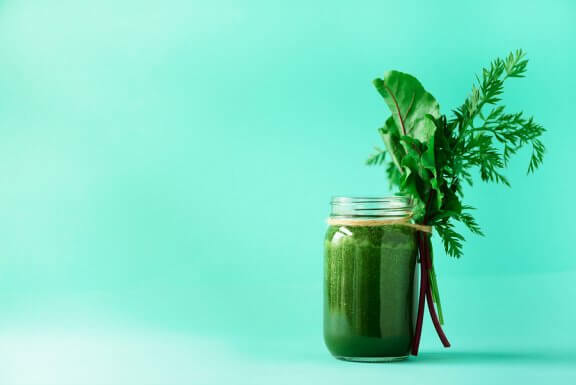 This is another natural ingredient that’s great for neutralizing the smell of sweat on clothing. You just have to mix the juice from half a lemon with the same amount of water. Then, using a rag or sponge, apply this to the worst-smelling areas. Leave on for 10 minutes and then put it in the washer. If you have clothing with oil stains, you can use the simple trick of applying talcum powder on the stain. Leave on for a day and then put the garment in the washer. There are two very interesting tricks that you can try. The first is truly strange: put the garment with the gum in the freezer. As a result, the gum will harden and will be very easy to remove. The second trick is more well-known. It consists in applying a little bit of gasoline. You’ll be able to remove the gum easily. Sometimes, you accidentally stain your shirts with lipstick, powder, or foundation. How can you get rid of this makeup so it doesn’t leave a stain? It’s very easy! 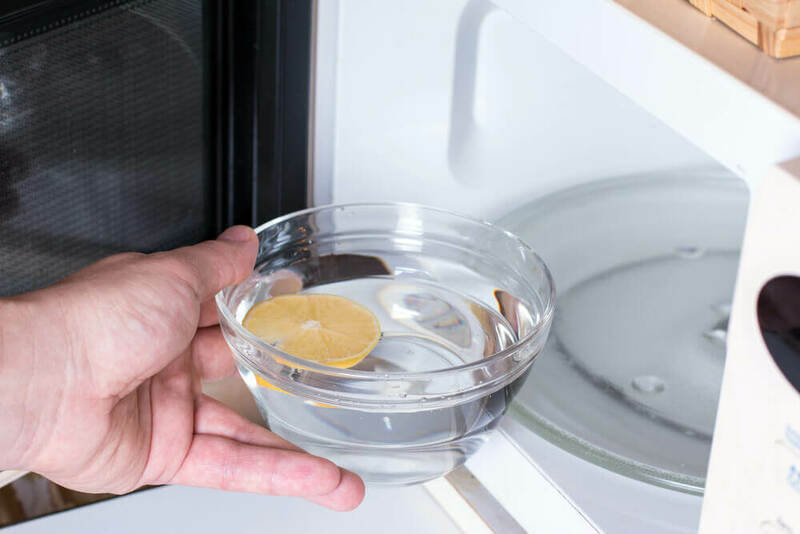 Apply vinegar water in equal parts. Leave on for a half an hour and then wash the garment as usual. Blood stains tend to be more difficult to remove. A simple trick is to use hydrogen peroxide. Pour some on the stain and leave on for a half an hour. Then, put the garment in the washer. We hope these simple tricks help you. Don’t hesitate to share your own tips with us!